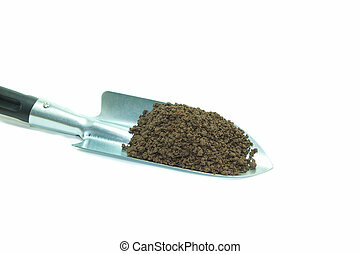 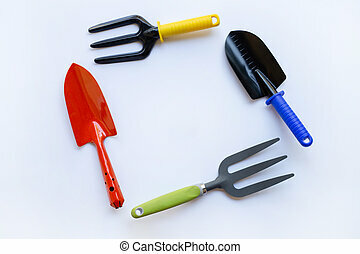 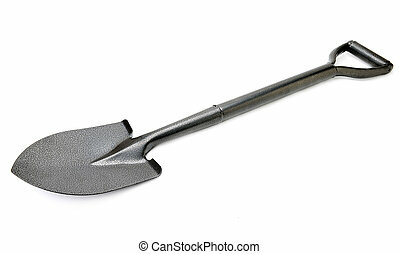 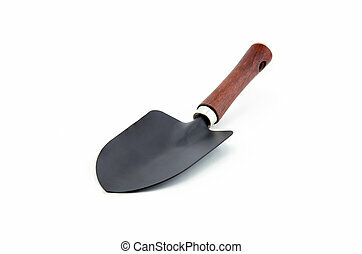 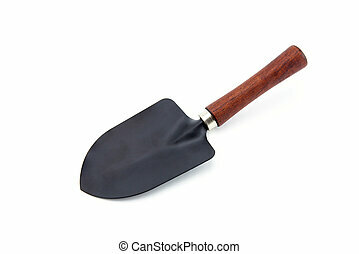 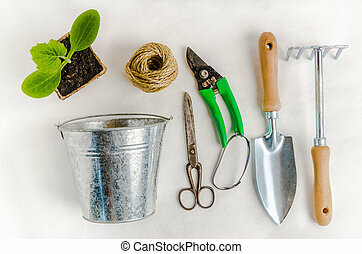 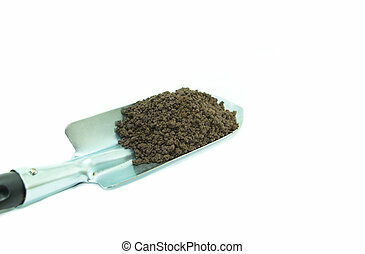 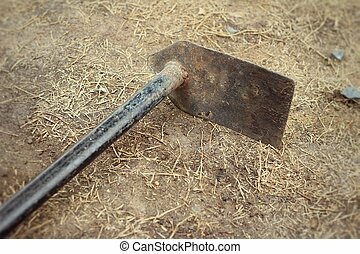 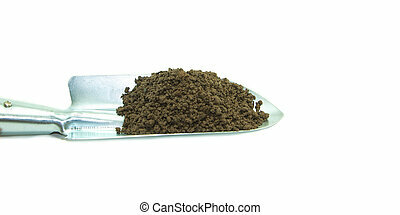 Garden shovel and soil on white background. 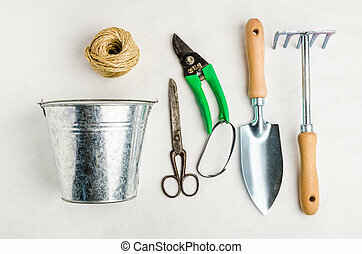 Garden shovel and fork isolated on white background. 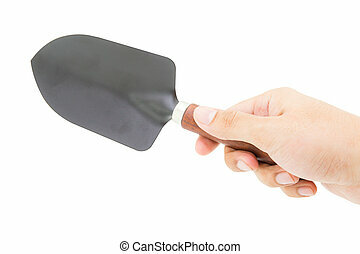 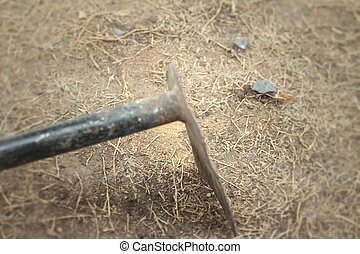 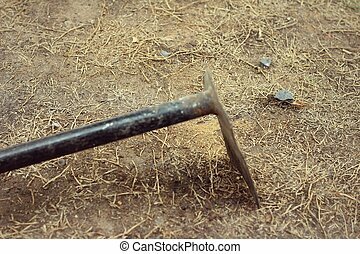 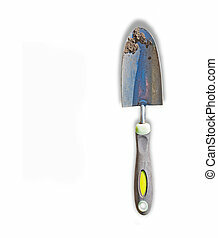 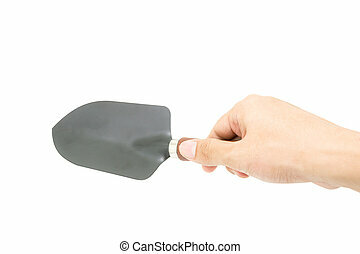 hand holding garden shovel tool isolated on white background.